Review: Well isn't this quite the star pairing. 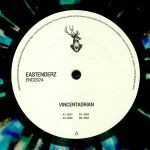 VincentAdrian are none other than Romanian scene heroes VincentIulian and Adrian Niculae aka Priku - who serve up some perfectly minimal and trippy antics (in rather typical Romanian style) on the always reliable Eastenderz. 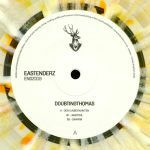 Unlike the experimental leanings usually associated with either producer's work, ENDZ 024 features four functional cuts that are dubby, bouncy and reduced - guaranteed to work on the dancefloor and perfectly suited to the early evening of the afterhours alike. You'll be sure to be hearing these ones on discerning dancefloors from Club Guesthouse to Hoppetosse and beyond. Tip! 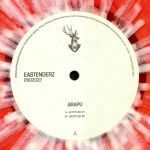 Review: Following two years spent serving up tasty tech-house treats on such labels as UVAR, Windmuhle, Acme and Melodrom, Petre Ionut Valentin brings his Lizz project back to Eastenderz. 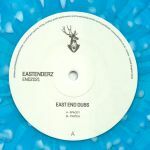 It's his third solo missive for East End Dubs' label and, with four tracks stretched over two slabs of vinyl, his most expansive, too. He eases us in gently via the slowly pulsing, ultra-deep chords, spacey electronics and rolling grooves of "Deceptiv", before offering up wonkier rhythms, weirder electronics and more traditional tech-house elements on late night workout "Esque". Over on the second 12-inch, "It Should" is a subtly funk-fuelled early morning roller rich in rubbery bass and mangled, robotic vocals, while "XOX" underpins melodious and attractive deep house musicality with a tech-tinged rhythm.